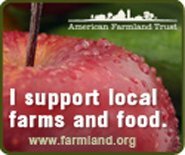 The Agricultural Marketing Service of the United States Department of Agriculture (USDA) maintains a current listing of farmers markets throughout the United States. CLICK HERE to search their database. The Farmers Market Coalition [http://farmersmarketcoalition.org] maintains a Resource Library for farmers, managers of farmers market, market researchers, and organizations which sponsor or are looking to start farmers markets. The Coalition’s database of resources “were developed by a wide spectrum of organizations, agencies and academic institutions” and it recognizes “the spirit of sharing” which allows it to make the resources available in one searchable portal. CLICK HERE to link to the Coalition’s Resource Library.